Mr. Baker is Executive Vice President of Renaissance Administration LLC, the nation’s leading third-party administrator of charitable gifts. He is a Board Member of the Partnership for Philanthropic Planning. For the past 25 years, he has provided trust, tax and philanthropic financial planning advice to over 4,000 attorneys and 8,000 development officers and financial planners in all 50 states regarding more than 18,000 charitable remainder trusts, more than 800 charitable lead trusts, numerous foundations, charitable gift annuities and donor-advised funds. Mr. Baker has helped donors contribute over $6 billion to charitable gift plans. Ann Barden serves as Director of Gift Planning at Oregon Health and Science University Foundation. She headed the planned giving programs at The San Francisco Foundation, Guide Dogs for the Blind and California Pacific Medical Center Foundation. Ann served on the board of the Partnership for Philanthropic Planning, formerly the National Committee on Planned Giving. She also served on the NCPG 2004 Conference Committee and was a member of the 2010 Conference Committee. She is the past president of the Northern California Planned Giving Council and past interim president of the Golden Gate Chapter of AFP. She is the 2006 recipient of NCPGC’s Phil Hoffmire Lifetime Service Award. Ann served on many boards including Pets Unlimited, The Animal Cancer Foundation and American Composers Forum and is a member of the Northwest Planned Giving Roundtable board. A frequent speaker at conferences and seminars, Ann appeared as a philanthropic expert on NPR and has been interviewed for numerous publications. Aviva Shiff Boedecker, is a nationally recognized gift planner with 30 years of experience as a director of planned giving and as a resource on philanthropy for professional advisors and individual donors. viva’s professional experience includes serving as Director of Gift Planning for the Marin Community Foundation, and Director of Planned Giving at the University of California, Berkeley. She started San Francisco Ballet’s planned giving program, and before that was in the private practice of law. Aviva is a past President of the Northern California Planned Giving Council, has served on the board of the Partnership for Philanthropic Planning, and is a past president of the Marin County Estate Planning Council. She has been a member of Planned Giving Today’s Editorial Advisory Board, writes for many planned giving publications, and is a frequent lecturer on planned giving. Aviva is a Big Sister with Big Brothers Big Sisters and has been involved with a variety of non-profit and community organizations. She is an alumna of the University of California, Berkeley and the University of California, Hastings College of the Law and a member of the California Bar. After a stint in the US Army, Dave joined Wells Fargo Bank to begin a career in financial services. In 1985 he joined the American Cancer Society as a volunteer fundraiser. Dave made a career change in the late 90’s marrying his experience in financial services and his volunteer experiences in fundraising. He joined the National Audubon Society and became immersed in the field of planned giving. Dave joined Canine Companions for Independence in 2008 and was named the National Director of Planned Giving in 2012. Dave is a graduate of University of San Francisco (undergrad) and Cal State University East Bay (MBA). He and his wife live in San Rafael and are doting grandparents to three little girls. Patience Boudreaux, CSPG is a Director of Major Gifts at the University of Redlands, and the former Direct of Annual Giving. In Annual Giving, Patience led the team responsible for the broad solicitation efforts of including direct mail, e-solicitation, phonathon, reunion programs, and the leadership giving society. In this role, she helped lead the integration of the planned giving and annual giving marketing efforts at Redlands with Ray Watts (co-presenter). Prior to her role at Redlands, Patience was at Trinity University, overseeing a reimagining of the annual giving effort. She also spent six years at Pomona College. Jane is a Senior Vice President and Senior Trust Advisor on the Wealth Management team in Northern Trust’s San Francisco office. She is responsible for administering fiduciary and investment management relationships in Northern California. She has over 30 years of experience administering trusts and estates. Prior to joining Northern Trust in 2015, Jane was the founder of and a Senior Vice President in the Whittier Trust Company’s San Francisco office for 20 years. Prior to that, she was a Vice President with the Bank of California (now Union Bank) in San Francisco. She was also a Vice President with Fleet Bank and the Bank of New England (now Bank of America) in Springfield, MA and Portland, ME. She started her career with Marine Bank (now J.P. Morgan Chase) in Springfield, IL. Jane earned a Bachelor of Science degree in Business Administration from Illinois State University. She holds a Certified Trust and Financial Advisor (CTFA) designation and is a graduate of the American Bankers Association’s National Graduate Trust School. Jane is a member and former board member of the San Francisco Estate Planning Council as well as the Northern California Planned Giving Council. She belongs to the Olympic Club, the Villa Taverna Club and the California Tennis Club. Jane has served on the board of directors of several nonprofit organizations, including the Olympic Club Foundation, Grace Cathedral and St. Mary the Virgin Episcopal Church. She also supports many performing arts organizations, including the San Francisco Ballet, the San Francisco Symphony, SFJAZZ, Chanticleer and the American Bach Soloists; as well as public radio (KDFC) and television (KQED). Maggie envisions a world where the for-profit and nonprofit sectors proactively work together to create economic and social progress. She increasingly became interested in finding financial solutions for community problems throughout her professional life. Her work includes an internship in Santiago, Chile with the United Nations Economic Commission for Latin America and the Caribbean, as well as collaborating with a number of foundations and companies to develop their business plans and investment strategies, and increase their impact. Maggie earned an MBA in sustainable management from the Presidio Graduate School, where she focused on impact investing from both the structuring and funding sides of deal creation. She previously earned a bachelor’s degree in politics and Latin American studies from the University of California, Santa Cruz, and a master’s degree in global trade, finance and international integration from the University of Denver. Jill Dodd chairs Manatt’s Family Wealth Transfer Planning and Trust and Estate Administration practice, focusing on gift, estate and philanthropic planning for very-high-net-worth individuals and families. She also chairs the firm’s Not-for-Profit Organizations practice where she acts as outside counsel to charitable organizations of all types, including community foundations large and small; operating charities, such as museums and schools; and private family foundations. Tracy Donahoe joined Earthjustice in 2000 and currently serves as its Director of Planned Gifts. In the past several years, Earthjustice’s legacy society has more than doubled in size and last year’s marketing efforts generated over 1,600 planned gift inquiries. She has an undergraduate degree in Environmental Biology and Management from UC Davis, which has been put to good use when discussing the value of effective gift planning alongside the importance of federal environmental statues and ecosystem management. She has been a member of the Northern California Planned Giving Council since 2000 and serves as a volunteer and volunteer planned gift advisor to local community groups such as the Japanese Community Center of Northern California and Japanese Community Youth Council. Erik Dryburgh is a principal in the law firm of Adler & Colvin, a law firm specializing in representing nonprofit organizations and their donors. He has an undergraduate business degree from the University of Wisconsin at Madison, and earned his J.D. at the University of California at Berkeley, Boalt Hall. He is also a Certified Public Accountant (inactive). Erik’s areas of expertise include charitable gift planning, not-for-profit organizations, donor-advised funds and endowments. Erik has authored the chapter “Charitable Remainder Trusts,” in California Estate Planning, Continuing Education of the Bar (2002) and published numerous articles on charitable gift planning. Erik is the Chair of the Charitable Planning and Exempt Organizations Committee of the American College of Trust and Estate Counsel (ACTEC), and a member of the American Bar Association’s Real Property, Trust and Estate Section. He is a past Board member of the Partnership for Philanthropic Planning (formerly NCPG), the San Francisco Estate Planning Council, and the Northern California Planned Giving Council. 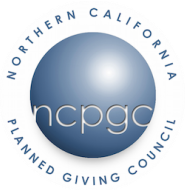 Erik received the 2005 Phil Hoffmire Service Award from the Northern California Planned Giving Council. Rebecca Dupras is the Vice President of Development at Silicon Valley Community Foundation. Rebecca is responsible for supporting the strategy that seeks out and brings in donors and clients to SVCF. She is part of key leadership and an active participant in the decisions affecting SVCF’s fundraising efforts. She assists individuals and corporate donors, as well as other nonprofits, to craft meaningful philanthropic strategies. Her background and training enables her to work with various types of giving vehicles and funding options. Rebecca is a graduate of Roger Williams University and received her law degree from Suffolk University Law School. She joined SVCF in 2014 as the director of planned giving and was the planned giving officer at the Rhode Island Foundation prior to that, working with donors and their professional advisors to craft deferred gifts to meet their philanthropic goals. Prior to her work with RIF, she worked as an estate planning attorney in private practice and with two Rhode Island law firms. During that time, her clients included mid- to high-net worth clients in Rhode Island, Massachusetts and Florida. She concentrated her practice on estate and tax planning as well as probate and trust litigation. She has been working and volunteering with nonprofits for years, serving on a number of boards and committees. She enjoys working with non-profits particularly in the Bay Area to help them craft their planned giving programs to advance local philanthropy. Phil is an Associate Director of Planned Giving at Stanford University. Prior to that, he practiced trusts and estates law on the Peninsula and in Merced from 1985 until 2011. Phil has served on the estate planning subcommittee of the State Bar of California Trusts and Estates Section, as President of the Merced Estate Planning Council, as Vice-President of the Mercy Medical Center Merced Foundation, and as a judge pro tem in the probate division of the California Superior Court in Merced County. He occasionally writes and speaks on various topics in estate planning and charitable giving. Phil bachelor’s degree is from Stanford University, his law degree from Santa Clara University, and his post-graduate law degree in Estate Planning from the University of Miami. Kay Sprinkel Grace is a skilled and articulate trend spotter in the nonprofit sector. Based in San Francisco, she is widely sought as a speaker around the globe. Her recent focus is on the swiftly changing face and fabric of philanthropy. Her work in major gifts strategy and board governance is pivotal to the platform she creates for generative thinking about where we are headed as a sector and who will be our philanthropic partners in the future. Author of seven books on fundraising and boards, and speaker at professional gatherings in 2015 in Italy, Poland, Czech Republic, The Netherlands, Slovakia, Australia and Canada as well as AFP chapters in the United States, she has gathered insights and exchanged ideas with a wide array of leaders. Her undergraduate and graduate degrees are from Stanford University where she has received their highest award for volunteer service, The Gold Spike. In 2013 she received the Henry A. Rosso Award for Lifetime Achievement in Ethical Fundraising from the Lilly Family School of Philanthropy at Indiana University. Dylan is a partner at Hendricks McFarlane, Attorneys at Law in Grass Valley, California. Her practice is focused on estate planning, trust and probate administration, conservatorships, and charitable advising. Dylan has prepared individualized estate plans for clients with a range of needs including probate avoidance, tax planning, business transfer planning, arrangements for minor children, planning for end of life and catastrophic injury, Medi-CAL and a variety of other concerns. Her experience extends from basic wills and trusts to complex charitable plans targeted to helping clients meet their personal and family objectives. Her charitable experience includes 501(c)(3) formation, ongoing organizational management, board policy, and gift acceptance and use. Dylan was previously Associate Director- Gift Planning Administration at UC Berkeley, where she and her team managed the administration of bequest, charitable remainder trusts, non-publically traded securities, and other complex gifts. Dylan is mom to two-year-old Sebastian and a member of the Trust and Estates Section of the California Bar Association, the Nevada County Bar Association, the Fundraising Committee of The Friendship Club, Soroptimist of the Sierra Foothills, and is President of the Gold Country Cal Alumni Association. Linda Solow Jaffe, JD, CFRE, earned her undergraduate degree in economics from Bryn Mawr College, JD from UC Hastings, and an MS in Management (with a concentration in non-profit management) from North Carolina State University. During her legal career, she practiced primarily in the areas of healthcare and public interest law. Eventually, finding her volunteer and board service more gratifying than she did her employment, she decided to change careers and become a non-profit development professional.Linda is Jewish Community Federation’s Director of Gift Planning and is responsible for legacy giving and stewardship as well as professional advisor services. Previously, she has worked in education, environmental and healthcare sectors. In addition to planned giving, her fundraising experience includes annual fund, major gifts, foundations, campaigns, and board governance. She currently serves as Vice-President of the board of the Northern California Planned Giving Council. Dwight Johnson helped to manage the assets of a private family in San Francisco for 40 years. He received his B.S. degree from U.C. Berkeley and his M.B.A. degree from University of Pennsylvania Wharton School. Kevin Johnson believes there is undiscovered power in partnerships among nonprofits, the public sector and passionate supporters. He works with visionary leaders to help them get the resources and build the connections they need to lead. In recent years he helped shape and guide more than 111 strategic and development projects on behalf of a range of education, social, conservation causes throughout the US and Canada. These projects attracted local and national leaders and well over $132 million in direct support and included capital campaigns, major gift coaching, fundraising and planned gift assessments, and fixing stalled capital campaigns. He is the author of The Power of Legacy and Planned Gifts: How Nonprofits and Donors Work Together to Change the World published by Jossey-Bass/Wiley. Created and directed the 2009, 2010, 2011, 2013 and 2014 Philanthropy Trends Surveys tracking nonprofit and planned gift trends in partnership with the Association of Fundraising Professionals. He is past president of the NW Planned Giving Roundtable. Kim Klein is an internationally known speaker and author, well known for her ability to deliver information in a practical and humorous way. She has worked in all aspects of fundraising: as staff, as a volunteer and as a board member. Kim is the author of five books including the classics, Reliable Fundraising in Unreliable Times and Fundraising for Social Change. She has provided training and consultation in all 50 United States, five Canadian provinces and 21 other countries. In addition to fundraising, she is advocate for fair and just tax policy, and helps nonprofit organizations understand why our work needs to focus on the common good. Kim believes that the nonprofit sector has a critical role to play in the creation and maintenance of a democratic society. Currently, she is a lecturer at the School of Social Welfare at the University of California, Berkeley. She was the Resident Resource Person at Concordia University in Montreal in 2008 and has worked extensively in Quebec and Ontario. She serves on the board of the California Association of Nonprofits. Lisa Kleissner is the President of the KL Felicitas Foundation, a family foundation co-founded with her husband, Charly, in 2000. KL Felicitas Foundation is dedicated to supporting programs that: enable social entrepreneurs worldwide to develop and grow economically sustainable, scalable enterprises with high measurable social impact, and; advocate the Foundation’s sustainability, mission, and social investment strategy. The KL Felicitas Foundation was named by the World Economic Forum as one of two foundations providing portfolio investment leadership in impact investing in the US. The Kleissners are recipients of the 2014 BNP Paribas Grand Prix in Philanthropy and the 2015 Magis Award for Social Entrepreneurship from Santa Clara University. Lisa is a frequent speaker, advocate and author on topics related to leveraged and holistic approaches to philanthropy and impact investing. She is co-founder and Board Chair of Toniic, a global impact investing platform; founding board member and Finance Chair of The Philanthropy Workshop, an international trans-formative donor education program; co-founder and board member of Social-Impact International, an incubator of capacity building programs for social enterprise; and co-founder of Hawaii Investment Ready, a capacity building program for indigenous and island social enterprise. Greg Lassonde, CFRE, has been working in legacy giving since 1992. He launched a legacy giving consultancy in 2007 to help build, sustain and audit legacy giving programs. Greg has built a diverse client base of nearly 60 organizations both nationally, and primarily in the greater Bay Area, from Carmel to Santa Rosa. Legacy Program Specialists now includes Greg and two associates, Kristin Berger and Natalia Straus. He speaks frequently on the West Coast and around the country on legacy giving. His staff fund-development experience since 1982 covers the full spectrum of programs, executed in a wide variety of nonprofits, from KPFA Radio to the San Francisco Symphony. He is a past board member of the Oakland Zoo Foundation, and past board member and officer of the Northern California Planned Giving Council, Silicon Valley Planned Giving Council, Development Executives Roundtable, Association of Fundraising Professionals – Golden Gate Chapter, Development Exchange, and Youth Radio. Molly Martin., Integrated Marketing Specialist - Western Region, Crescendo Interactive, Inc.
organizations to further their missions through planned giving marketing. Prior to working at Crescendo Interactive, she served as the Director of Alumni Outreach at the University of Oklahoma. Craig Miller represents public and private corporations, as well as non-profits, in a wide range of sophisticated corporate matters, including mergers, acquisitions and public and private equity and debt securities offerings. Mr. Miller also counsels issuers on day to day corporate governance issues and periodic reporting. Mr. Miller is co-chair of Manatt’s Financial Services and Banking practice. Alexandra Morris, joined the Alzheimer's Association in 1999 after considerable experience working with Bay Area seniors and their families, including management of both an adult day care, a program for brain injured adults and a residential facility. At the Alzheimer's Association, she manages the Respite Program, assists families through our 24/7 Helpline, speaks on dementia research and a variety of dementia topics at our community programs and facilitates a local caregiver support group and early stage Alzheimer’s support group. She has experience as a State Certified Ombudsman, has a Masters degree in Gerontology and is a Credentialed Professional Gerontologist and Private Certified Geriatric Care Manager. Theresa Nagle began practicing law in 1993 at a high-end law firm in San Francisco’s financial district. Ms. Nagle specialized in estate planning and counselling charitable organizations around the Bay Area working with sophisticated donors and charities dedicated to education and social justice issues. Ms. Nagle’s interest in using her legal background to assist in non-profit fundraising led her to accept a position from 2009 to 2014 with the University of San Francisco in its Gift Planning Department. There she was responsible for cultivating and closing planned gifts via Wills and Trusts, Charitable Remainder & Charitable Lead Trusts, Charitable Gift Annuities and Retirement Assets. Ms. Nagle received her J.D. from U.C. Berkeley School of Law (Boalt Hall) in 1993. She is a member of the California State Bar Association, the Bar Association of San Francisco (Trusts & Estates and Taxation sections), the San Francisco Estate Planning Council and the Northern California Planned Giving Council (Board Member, Chair of Legislative Committee and Treasurer), and currently serves on the boards of three Bay Area-based charitable organizations. Stacie Polashuk Nelson is a partner in Holland & Knight's San Francisco office and is a member of the firm's Private Wealth Services Group. Since 1998, Ms. Nelson has concentrated her practice on all aspects of contentious trust, estate and conservatorship matters. Her practice includes will and trust contests, accounting disputes, disputed conservatorships, breach of fiduciary duty matters, financial elder abuse matters, as well as trust and estate administration. Her administration practice focuses on assisting clients with post-death administration of trusts and estates and securing and protecting bequests made to individuals and charitable beneficiaries. Ms. Nelson’s clients include individuals, families, charities, and professional and institutional fiduciaries. Ms. Nelson's experience includes some of the most sensitive and high-profile cases in her field. In addition, Ms. Nelson also devotes a portion of her practice to pro bono legal services and is the chair of the Holland & Knight Mickey Rooney Elder Financial Abuse Pro Bono Project for the San Francisco office. Through this project, Ms. Nelson and the San Francisco office provide legal services to elder adults who would otherwise not have the financial ability to protect themselves. In addition to her pro bono legal work, Ms. Nelson is active in her community and local charitable organizations. John R. Trauth specializes in organizational development and strategic planning for nonprofit organizations. He has created 30 nonprofits in California and around the country. He is past President of the Olympic Club Foundation which raises funds and makes grants for sports programs for less advantaged kids in the Bay Area. He started the foundation’s planned giving program in 2005 and continues to serve on the planned giving committee. He also consults with other nonprofits on their planned giving programs. Prior to establishing his consulting practice, he was the Executive Director of the nonprofit Development Fund which develops large-scale financing programs for affordable housing and small businesses operating in challenged neighborhoods. Working closely with the Federal Reserve Bank of San Francisco and major banks, he developed eight state-wide community lending programs, including two in California and six others around the country. These programs initially pledged 680 million into revolving loan programs which have now provided in excess of 2 billion dollars for these programs. In recognition of this work, he received a letter of commendation from Federal Reserve Chairman Alan Greenspan. In his volunteer work, he has served as Chairman of the Board of the Alliance Française of San Francisco, the city’s French language and cultural center, and as Vice Chair of the Board of Trustees of Fort Mason Center. He holds an MBA from Dartmouth College. Ray manages the Development team at the University, and oversees all University philanthropic outreach efforts, working closely with Trustees, the President and the Vice President for University Relations to achieve organizational goals. Before assuming the role of AVP at Redlands, Ray served for 5 years as Director of Development, overseeing the major gift fundraising for the historic Centennial Campaign. Prior to Redlands, Ray spent 7 years at his alma mater, Loyola Marymount University of Los Angeles, spending the last 4 years as Director of Annual and Special Campaigns. Craig Wruck is Vice President for University Advancement at Humboldt State University. He has previously served at Minnesota State University and was Director of Gift Planning for the University of Minnesota, Vice President of The Saint Paul Community Foundation as well as Senior Vice President of Development and Alumni Relations at Hazelden Foundation. In addition he has worked as Vice President at U.S. Trust Company, National Manager of Charitable and Nonprofit Services for U.S. Bank, and Director of Client Development for Kaspick & Company. His career in development also includes experience at William Mitchell College of Law in Minnesota, and Claremont University Center in California. He is past president of the Partnership for Philanthropic Planning (formerly National Committee on Planned Giving) and served as chair of the Government Relations Committee from 1998 through 2011. In 1993 he was chair of the Sixth National Conference on Planned Giving. In 2002 Craig was presented with a Distinguished Service Award by the National Committee on Planned Giving in recognition of his work in the field.